Breakfast this morning( well part of it anyway ): simple Egg On Toast. Today’s bread was Warburtons seeded batch & it was pretty good! If you had this with just 2 eggs, you’d save yourself around 60-65 kcals. If you are a ‘grab some toast & go’ person, adding an egg will bump up your protein & keep you feeling fuller for longer. 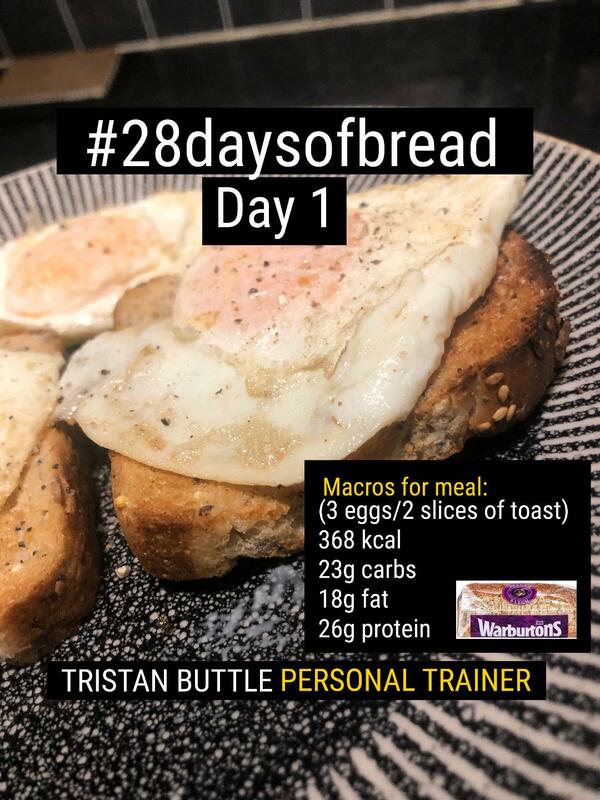 Tristan ‘one slice at a time’ Buttle.